A very slight jog to the north has occurred in the track. 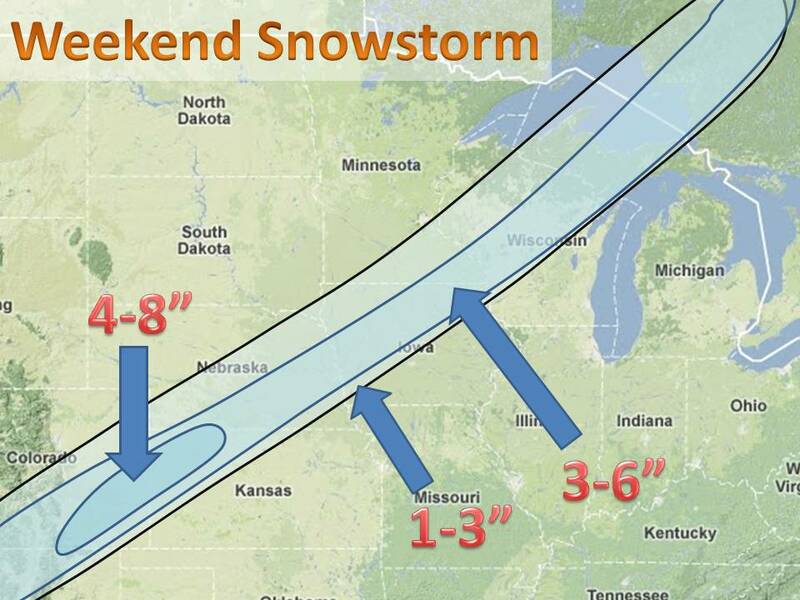 Still thinking 3-6" for much of the Midwest that see snow. There will be a very sharp cut off on the east side of the snow swath due to rain mixing in. 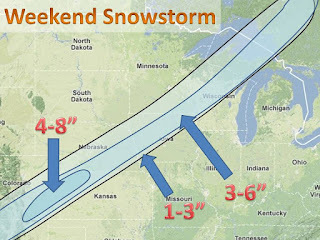 The snow will start on Saturday in the plains and work north into the upper Midwest Saturday night and into Sunday morning. The 18z GFS and 18z NAM are holding the same track in the latest model runs, so confidence is high. Check back here for updates!